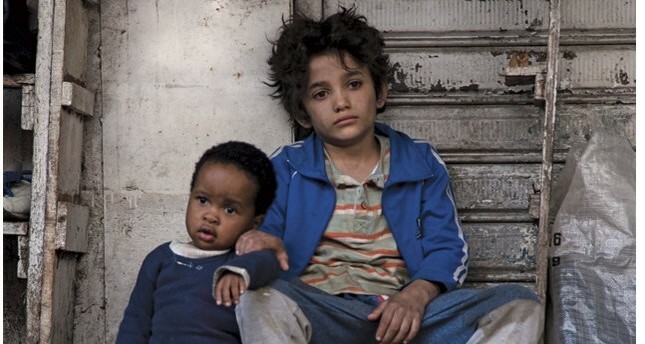 Lebanon's Best Foreign Language Film nod for the 91st Academy Awards, "Capernaum," debuts this week. Nadine Labaki, making history as the first Arab woman nominated for an Academy Award in the best foreign language film category, centers her critically acclaimed film on a 12-year-old Lebanese boy who is trying to survive in an environment of poverty and violence. "The Upside," a remake of the French film "The Intouchables" (2011), concerns the relationship between Phillip Lacasse, a wealthy man who suffered a stroke due to an accident, and Dell Scott, an unemployed man who is hired to help him. Starring Bryan Cranston, Kevin Hart, Nicole Kidman, Golshifteh Farahani, Julianna Margulies, Jahi Di'Allo Winston and Aja Naomi King, "The Upside" was directed by Neil Burger. "Time Freak" concerns a boy who invents a time machine to try and fix his failed relationship with his girlfriend. It stars young Hollywood talents Asa Butterfield, Sophie Turner, Skyler Gisondo, Will Peltz, Aubrey Reynolds and Joseph Park. This coming-of-age drama was directed and written by Andrew Bowler. Written and directed by Dean DeBlois, this week's animated film, "How to Train Your Dragon: The Hidden World," brings a new, dangerous mission to Hiccup, who has become the new leader of his people, and his best friend Toothless the dragon. Directed by Ali Yorgancıoğlu, "Aslı Gibidir" ("Same as Original") focuses on an aspiring actress who goes on an adventure to realize her dreams. Starring Aslı İnandık, Toygan Avanoğlu, Ahmet Olgun Sünear, Tuna Orhan, Nazlı Tosunoğlu, Ayten Uncuoğlu, Tuğçe Karabayır and Aslı Turanlı, this week's Turkish film promises a fun weekend for comedy buffs.